Superbly finished with highest quality materials we present you this beautiful and spacious luxury 4 bedroom Villa located in the area of Carvoeiro. 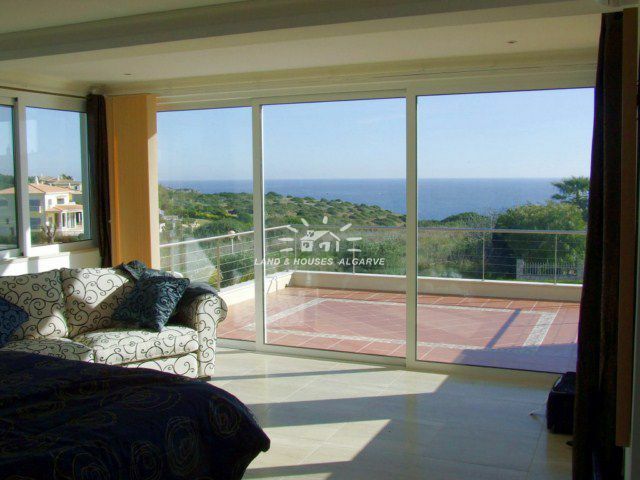 The property offers great sea view both from ground and 1st floor terraces. Enter through an electric gate to park in front of a solid wooden door. When entering the Villa quality springs out with black marble floor entrance hall leading into a bright and spacious living room with large oval windows allowing the sun to play with the quality of live. The lounge offers spectacular sea view as do the garden and pool terraced areas. There is a spacious sitting area, a small and cozy TV area with Fogo Montana and an open-plan dining area connected to a luxurious fully fitted kitchen with separate utility room and exit to garden. 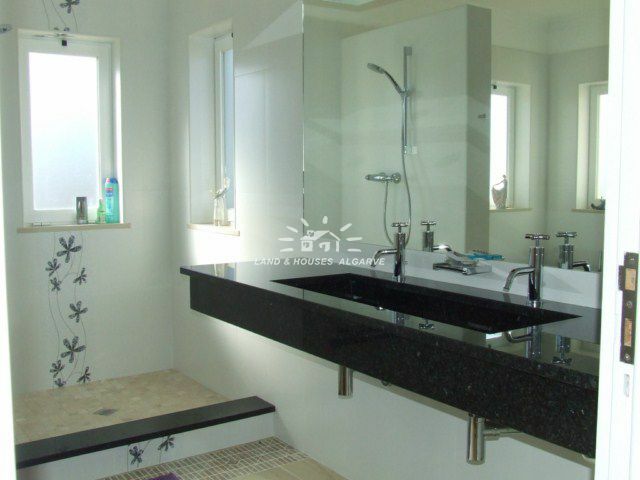 Further a comfortable guest WC in the hall which leads to a guest bedroom with en-suite bathroom (Brazilian shower) and a further large Suite with superb bathroom and tall double glazed doors that lead out to the pool and garden areas. On the first floor are 2 evenly sized Master bedrooms with 2 spacious en-suite bathrooms and fitted wardrobes, both sharing a large balcony/terrace overlooking the grounds and offering spectacular sea views. The property has full under floor heating throughout, AC units in all rooms, double glazed windows with Mosquito netting and very good quality furniture throughout. There is mains water, electricity and a hot water boiler. Extended overflow swimming pool with cover of 5x12m, BBQ area and spacious sun flooded terraces. 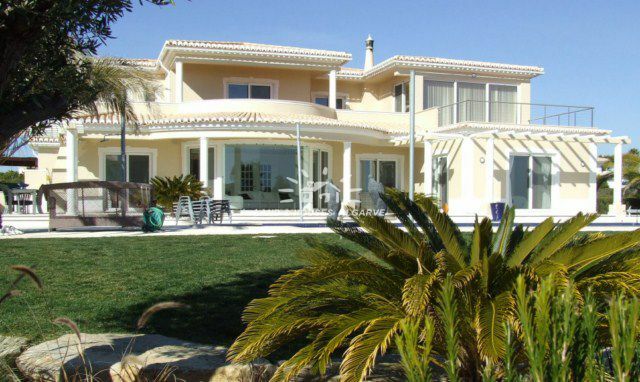 This property will be sold with high quality and superb furniture specially chosen to fit this superb Villa. 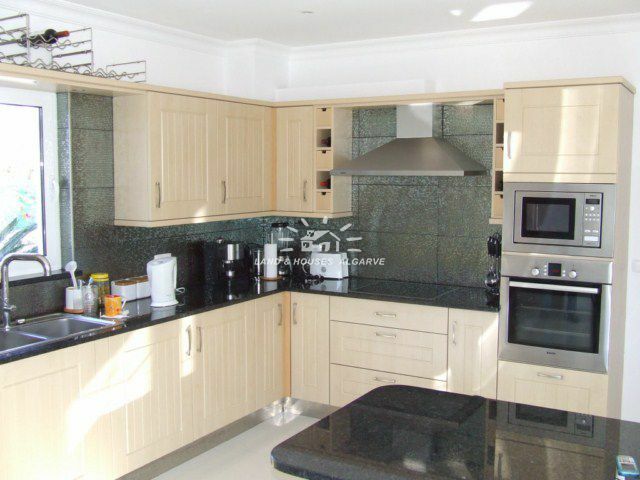 Close to all amenities of Carvoeiro and Lagoa, with numerous golf courses and beaches just a few minutes away.